Project Runway. Dance Moms. Army Wives. And, of course, movies! 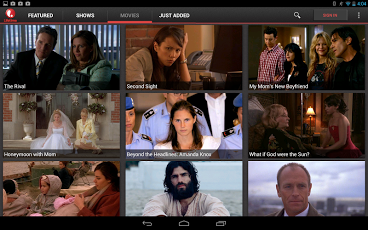 Now you can watch Lifetime wherever and whenever you want…on your Android devices!The Lifetime app gives you full access to all the reality, drama and movies Lifetime has to offer. New full episodes and movies, plus behind-the-scenes and preview clips, are added every day! PLEASE NOTE: LIFETIME CONTENT IS ONLY AVAILABLE TO STREAM IN THE UNITED STATES. The Lifetime app is free to use. 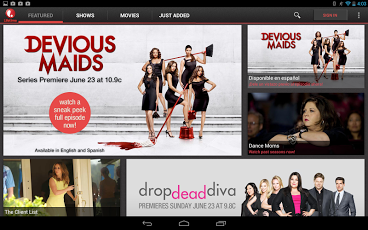 Comcast, DIRECTV and other cable subscribers can login and get access to even more content. More TV providers are coming very soon! We love to hear from you. Drop us a line at [email protected] with any comments or suggestions. We’ll get back to you asap!